Sitting at our desktops and smartphones, we mostly accept the news throw at us without verifying its genuineness. 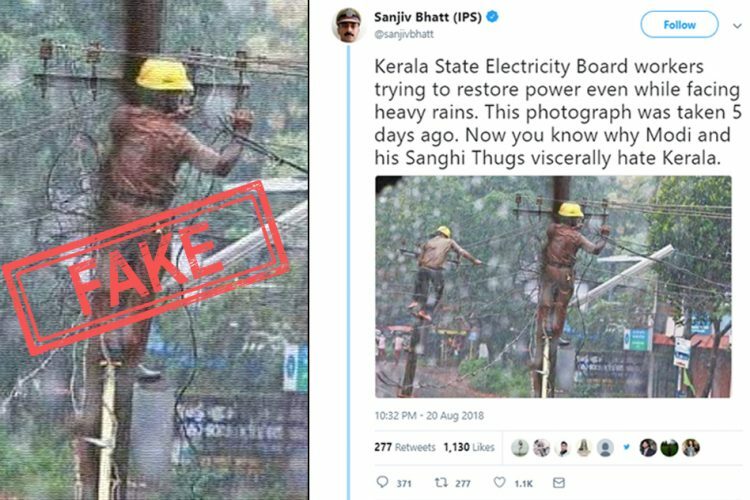 Here is a breakdown of fake/false stories that circulated on social media and was shared by media houses and public personalities to spread misinformation in the past few days. Following External Affairs Minister Sushma Swaraj’s much-publicised speech at the United Nations General Assembly where she branded Pakistan as “Terroristan” and an “exporter of terrorism”, Pakistan’s Ambassador to the UN whipped out an image of a Gazan and claimed that it was an image of a Kashmiri victim of Indian security forces. 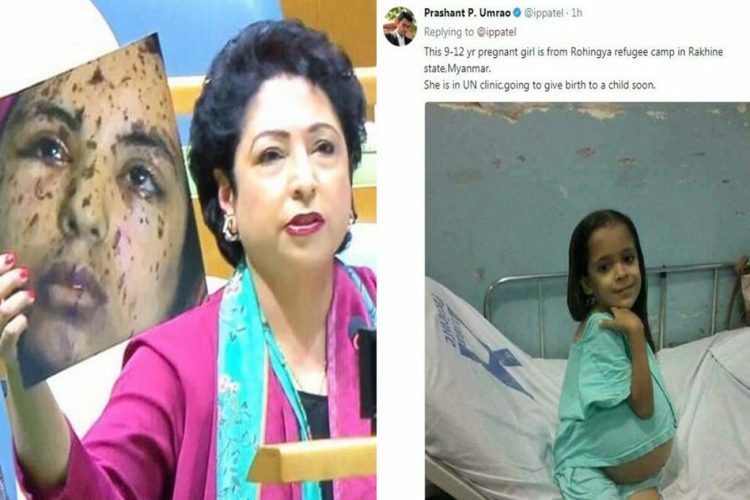 Pakistan’s envoy to UN criticized for using fake image to illustrate alleged Indian atrocities in #JammuandKashmir. The image Ambassador Maleeha Lodhi displayed was actually not a “pellet gun victim”. It was a photograph of a 17-year-old Gazan girl named Rawya abu Jom, who had been injured by shrapnel during an airstrike by Israeli forces. The picture was taken in July 2014 by American photojournalist Heidi Levine in July 2014 when she was covering the conflict (original image source). The video of the Pakistan Ambassador’s speech can be viewed here (the moment where the Ambassador shows the image of the Gazan victim is at 6:39). The Rohingya refugee crisis has stirred a heated debate in India, with the government’s decision to deport all “illegal” Rohingya refugees generating mixed responses. 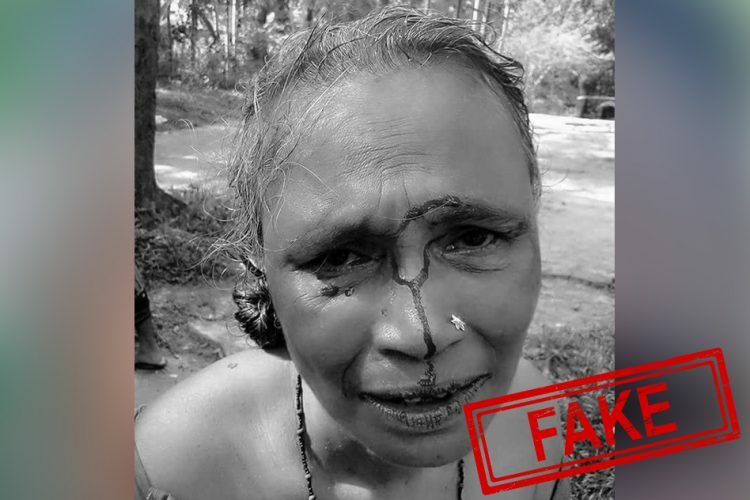 Whatever be one’s opinion on how India should respond to the Rohingya refugee crisis, we should all agree that spreading false rumours on refugees is cheap, disgusting and never justified. And yet, this is exactly what has been happening. 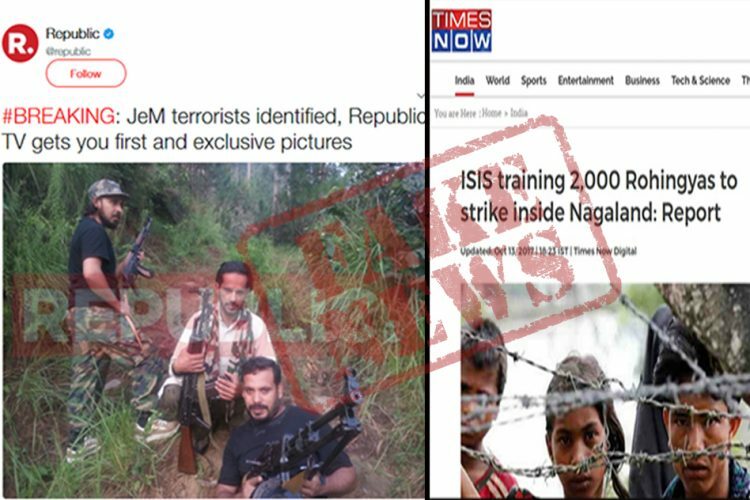 Anti-Rohingya propaganda has relied on fake images and news stories to spread like wildfire on social media. The torchbearers of these lies have not spared even disease-stricken children from other countries to push their own agenda. Another instance of defaming and character-assassinating starving and helpless refugees was when Ravinder Sangwan (@Shanknaad), who tweeted an image of a little girl holding an infant. Without providing any source, this man said the image was of a Rohingya girl: “14 years old has 2 kids. Her husband is 56 yrs. He has six wives with 18 children”. When @Shanknaad was asked for his source, he failed to provide any links. BOOM traced the image to a BBC video on Rohingyas fleeing violence in Myanmar. The girl is in the video (at 2:06) but only as a few seconds in a video shot. There is no context, no background, no story: the tweet, which was shared widely on Twitter and Facebook, was false in context and malignant in intent. The police brutality at Banaras Hindu University (BHU) caused outrage across the nation. 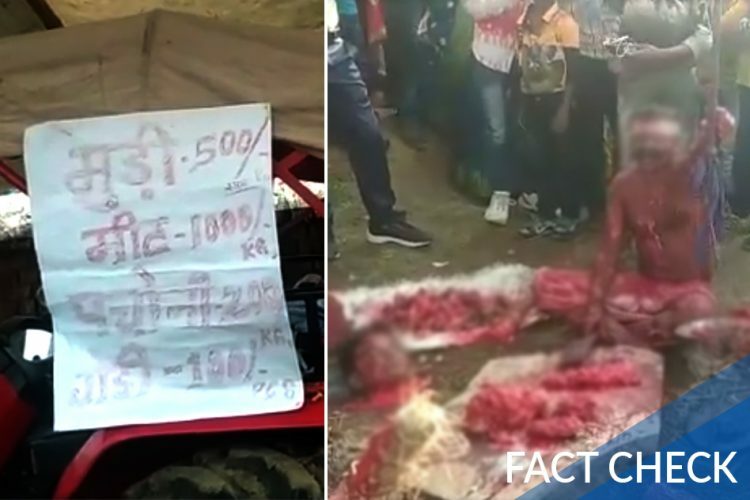 During this testing time, several unrelated images of injured youngsters were being shared to portray Modi’s UP or attack the Adityanath government in Lucknow. 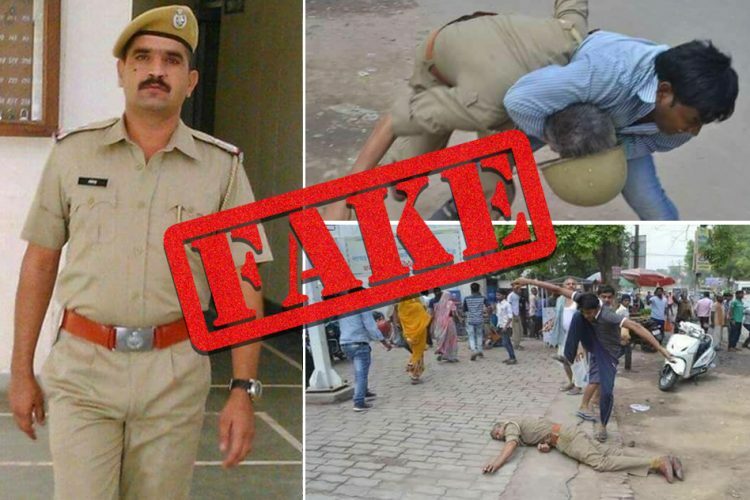 As reported by Alt News, the fake image was shared by several people including Prashant Bhushan, Sanjay Singh, Ashok Gehlot, Mrinal Pandey and Swati Chaturvedi, to name a few. To their credit, many personalities tweeted apologies for sharing images without verifying their authenticity or deleted their tweets.